i lofed tis dj vorever! Thanks for music, it makes our lives. Seen and actually be gifted to meet Avicii in real pearson left so powerful mark and change everything. If I could change course I would not hesitate about it for a moment. Avicii will always be rememberd and present. Avicii's song 'Wake Me Up' saved me multiple times. Absolutely devastated that we lost him, particularly that it was by suicide. He will live on, and he has left a massive gap, forever empty. His music will enchant our souls forever. I'll always remember the times of my childhood when my family and I did a stupid dance to Wake Me Up. You brought such inspiration and passion towards the music genre, and revolutionised the DJ industry. I hope you can rest well, knowing you've left such a positive mark on the world. Tack Avicii... Tim... för att du visade att det är möjligt fót en ung Stockholms kille kan göra fantastisk musik och inspirera en värld. Förevig saknad. Fantastisk musik du skapade Tim. Som svensk kände man en stor stolthet över dig och din musik, när du turnerade runt i hela världen. Tim, I have so many fun memories that involve your music! The most memorable was on my way to my first EDC in 2017; we all played your songs in the car on the way to Vegas and SWORE we’d see you if you ever performed live again. When you passed away a year later, I graduated from college and put lyrics from “The Days’ on my grad cap and I still listen to your music every day. :) I miss you so much! God bless you and your family. Thank you for everything. Dear Tim. Thank you for being my inspiration for over 6 years. Thank you for creating the best songs I’ve ever heard. Thank you for being the reason I started making music. I remember trying to copy everything you did. Thank you for making Fade Into Darkness, Drowning and A Sky Full Of Stars. We all miss you, Tim. Thank you creating moments I could only enjoy while listening to your songs. And most important of all: thank you for being for being an amazing human being. Rest in peace brother. 谢谢你的音乐它们伴随我跨过了山河湖海！I will be missing you FOREVER! Tim bergling was and Will Always be my guru. Please wake me up avicii! Still lot of pain and emptyness without Avicii. Thank you for inspiring me to get through times in life with your music. Thank you for sharing my best moments with me. I have unbelievable memories, wandering streets around the world, while your brilliance played in the background, enhancing the foreground. I will never forget you, you are always in my heart, every time i listen to your music i feel happy, free, sad..., mix of feeling that i can't describe, thank you for everything, i will always love you and i believe you are in a better place, in peace. <3 <3 <3 You are a legend and legends never die. Tim, I never had the privilege of seeing you in concert but you changed my life in more than you could ever imagine. Your music got me through the worst times, it uplifted my spirit, made me believe in myself. Your music was the pump for the challenges in life, it motivated me and inspired me. Your music was there for the celebrations, the happiness and laugher. I am devastated you will not continue to make incredible music and inspire people around the globe. You will forever be missed. THE BEST PRODUCER EVER! ITS WHAT YOU REALLY MEAN TO ME, ONE PERSON THAT I LOVED EVERYTIME TO SEE AND LISTEN HIS MUSIC. THANK YOU SO MUCH. I WILL LIVE AND DIE LISTENING YOU BEAUTIFUL MELODIES. "LIVE A LIFE YOU WILL REMEMBER"
It is Avicii that brought me interest to mainstream electronic music. I was in elementary school, 8 years old at the time, when "Levels", which was far different from my musical tastes at the time, played on 97.1 AMP Radio. I was puzzled. It would only be a few years later that I would start obsessing myself with electronic music, and numerous electronic acts (although I am a tad displeased with today's mainstream electronic). And so I give you, Tim, kudos, from the purity of my heart. Maybe i should write in swedish but then again, you never did in your songs what i know. However I will never forget the day i heard about the terrible news, it was me and some friends here in Sweden. We had eachother, a cozy fire and your music in a JBL speaker. Then later that evening the sad news came, so we turned the volume to the maximum capacity. Dear Tim, my life has become a complete mess. I won't go into details, but the situation I'm in is unbearable at times. And here I am, again, crying the heck out of me while listening to "Ten More Days". It has always been my go-to song in times of sadness. Thank you for that. I know you won't read this message, but I hope you can somehow feel how much you and your music mean to me. How can you miss someone you've never met so terribly? :( I'm sending all my love to your family. I always loved yours musics your music has helped me to face the trials of life thank you for all your music we will never forget you and wherever you are I hope you are happy. Merci pour tout Avicii ! I am so sad... I will remember you and your music that brought the world together I honor you I...will start it all again. His songs helped me through a rough part of my life and at some points his songs were the only things that cheered me up. I casually discovered Avicii in 2011 with his masterpiece "Levels". After that moment, I started to listen his songs and I start to "live" after a very painful moment. His songs have been there in every moment of my teen age. They made me dance, they made me cry. They were significant. One day, I will make listen his songs to my sons, and I will explain they what Avicii's songs are for me. Thanks for everything Avicii Thanks for gave me a reset button LE MANI AL CIELO BAHIA! te recuerdo sonriendo y haciendo lo que más te gustaba... te recuerdo todo el tiempo tim, te extraño demasiado! Tu es immortel ! You are immortal ! Love. 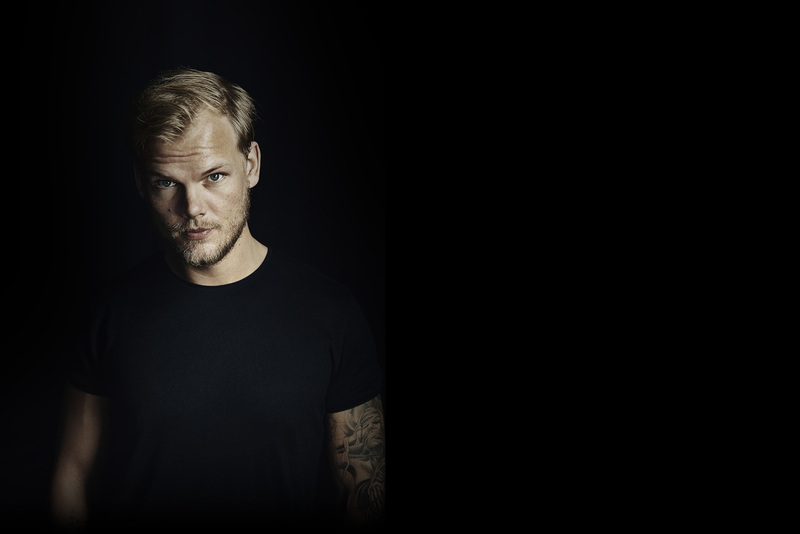 Your music lead me through the dark times of my life , Rest In Peace Avicii! He was what inspired me to start doing music. And because of that, I am where I am today. I loved that man. Tim non e' morto e' soltanto uscito di scena. You has made my life better, unforgettable nights and times. Goodbye mate. <3 You are the best. I loved his music. we gonna miss you all Tim Love to you!